Want to know the secrets of raising guinea fowl successfully? 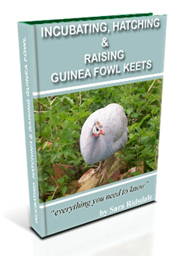 ‘Incubating, Hatching & Raising Guinea Fowl Keets‘ will tell you everything you need to know! 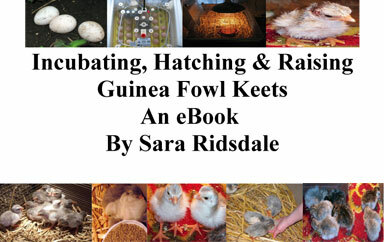 Is Incubating, Hatching And Raising Guinea Fowl Keets eBook for you? Reasons For Keeping Guinea Fowl – Why Keep Guinea Fowl? Wet Bulb Thermometer – What Is A Wet Bulb Thermometer? 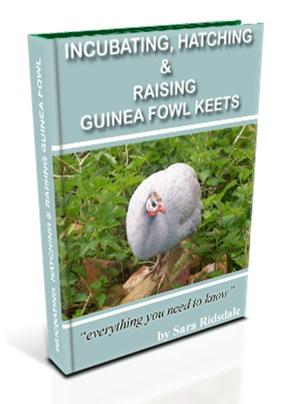 Buy the Incubating, Hatching And Raising Guinea Fowl Keets eBook for yourself or as a gift for a friend or a family member – only £4.99. Down loaded your book with no problems thanks, loads of much required knowledge! I have bought a pair of guineas recently who are lovely so it has inspired me to purchase some hatching eggs. I got it, thank you so much, this is the best information about guineas I have ever been able to obtain, I wish I could of had this last year when I first got started, I learned mostly by error but this is so full of information, I just love it. 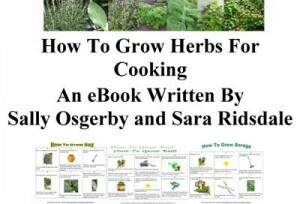 Thanks alot, I would recommend this for any one starting to raise guineas, its a must to have. I keep guinea fowl. If some of the eggs hatch then place them in a brooder with a heat lamp and something on the floor such as a carpet, corrugated card, towel or straw so that their feet don’t slip as this can cause splayed legs. Give them a rub with some warm water in to drink and place some pebbles or marbles in as this will help to stop them from drowning. They eat chick crumbs but you could just crush up some layers pellets until you can get chick crumbs. I took a chance on some guinea fowl eggs I found and they are due to hatch tomorrow. No expecting any luck I have no idea what to do if perchance one or more are successful. Do you have any immediate tips on where to put them / what to feed them until I get myself sorted! Where the guinea fowl hens getting off the eggs at the start of the 30 days for long periods of time before the settled down for the sitting because if this is so then the incuabtion period may not have started 30 days ago. the guinea fowl hens may have continued to lay eggs for a few days. Guinea fowl will lay a clutch of eggs and then start to sit full time when they have enough eggs. It is only when the last eggs is laid and the guinea fowl hen starts to sit permanently that the incubation period begins as the conditions for hatching are being created and before this they aren’t. The may be moving the eggs as they could be turning the eggs or they could be trying to reject an egg they can feel doesn’t have a chick inside. Good luck with the hatch and hope you get some guinea fowl keets as they are such lovely chicks. Let me know how the guinea fowl hens get on. I have inquiry regarding the hatching period. I think my pair of Guinea fowls are seems to sitting on their eggs for over 30 days now. I dont no how long will still take them to hatch thier eggs. They both sit next to each other in my garden. The eggs have been divided among them and they occasionally change eggs. I am writing from Karachi, Pakistan.